Spartan | 12-Ga. - 2 3/4" - #8 - 3 1/4 dr. - 1 1/4 oz. - 25 rds. | BUDK.com - Knives & Swords At The Lowest Prices! 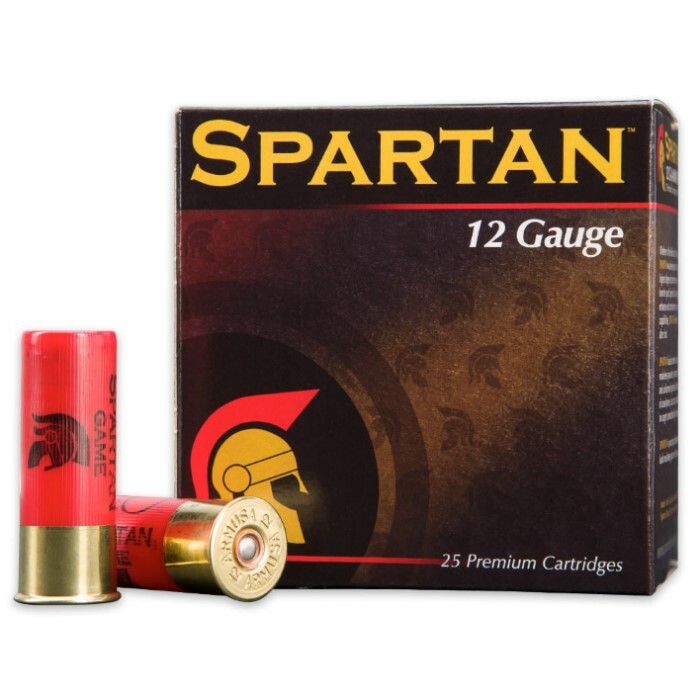 Spartan | 12-Ga. - 2 3/4" - #8 - 3 1/4 dr. - 1 1/4 oz. - 25 rds. 3 1/4 drams; 1 1/4 oz. 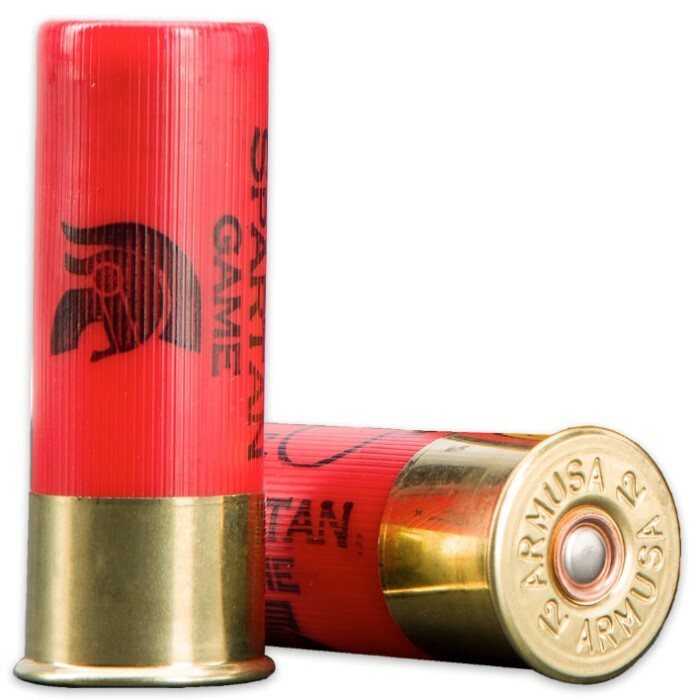 Spartan Heavy Game 12-Gauge Shells are the premium choice for hunters because they deliver consistent performance and are designed to enhance and compliment your natural capabilities. It’s not only reliable but it’s premium ammo at an affordable price. They feature smokeless powder, premium primers and uniform spherical shot. 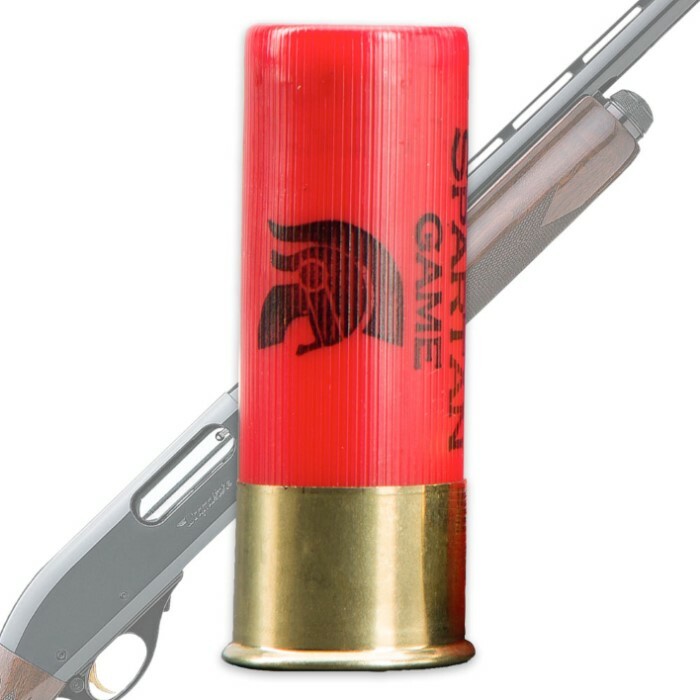 A 2 3/4" shell contains #8 pellets which become 1330 fps projectiles. This is a box of 25 rounds.